Our airbrush holder provides safe, secure storage for all airbrush brands...up to 4 at a time! Rubber-coated head tilts and rotates to hold your airbrush at the perfect angle for filling paint cups. 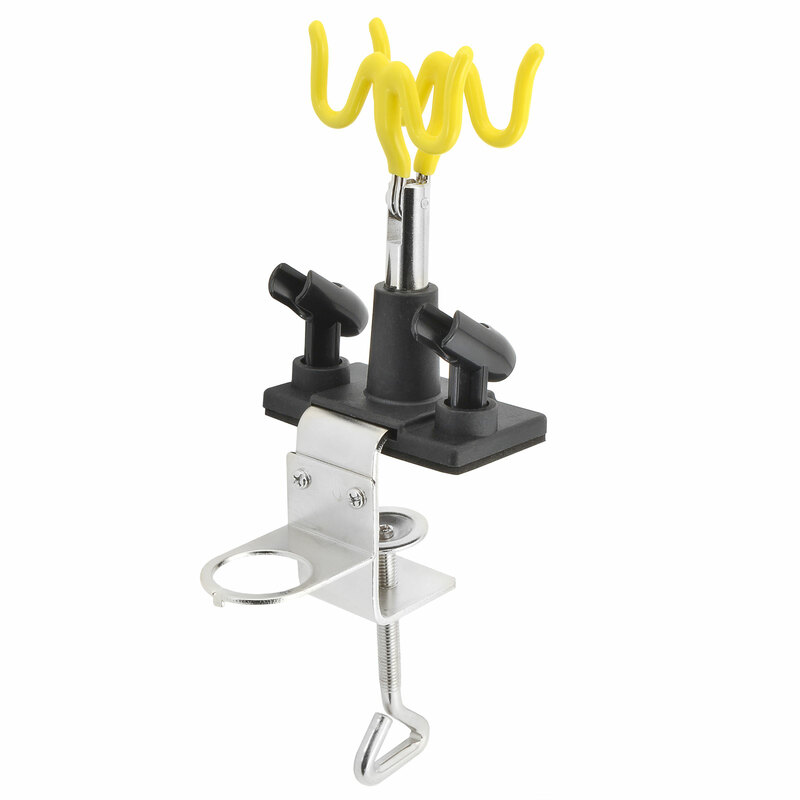 Clamps to work surfaces up to 2-1/4 inches thick.